There are two flavors that become very popular once Fall rolls around. Pumpkin and apple. So today I am sharing a very moist and delicious Apple Spice Cupcake recipe topped with a very interesting frosting flavor. One I’m sure you’ve never seen before. This Apple Spice Cupcakes recipe was made to celebrate the first collaborative post of the Food Blog Genius tribe. 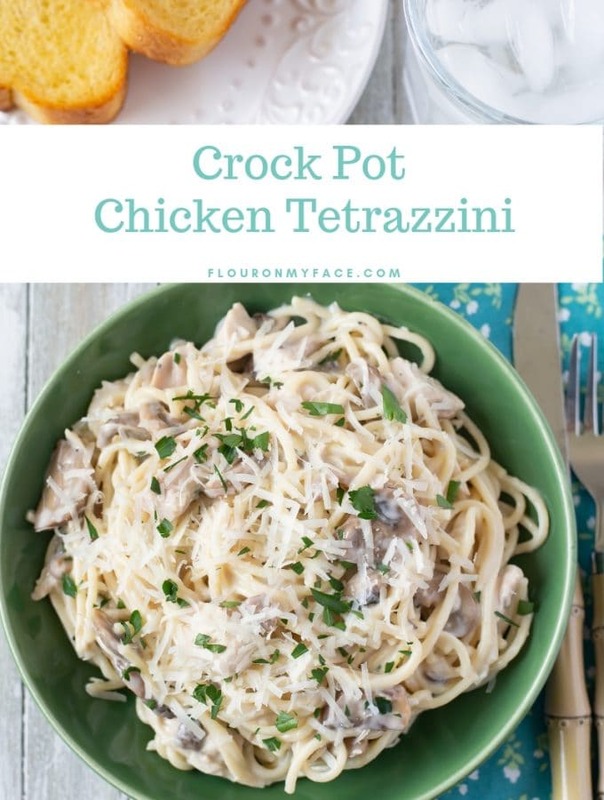 #FoodBlogGenius is a bunch of bloggers that love to share delicious recipes. We also are a group of blogger who have come together to form a support group of sorts. 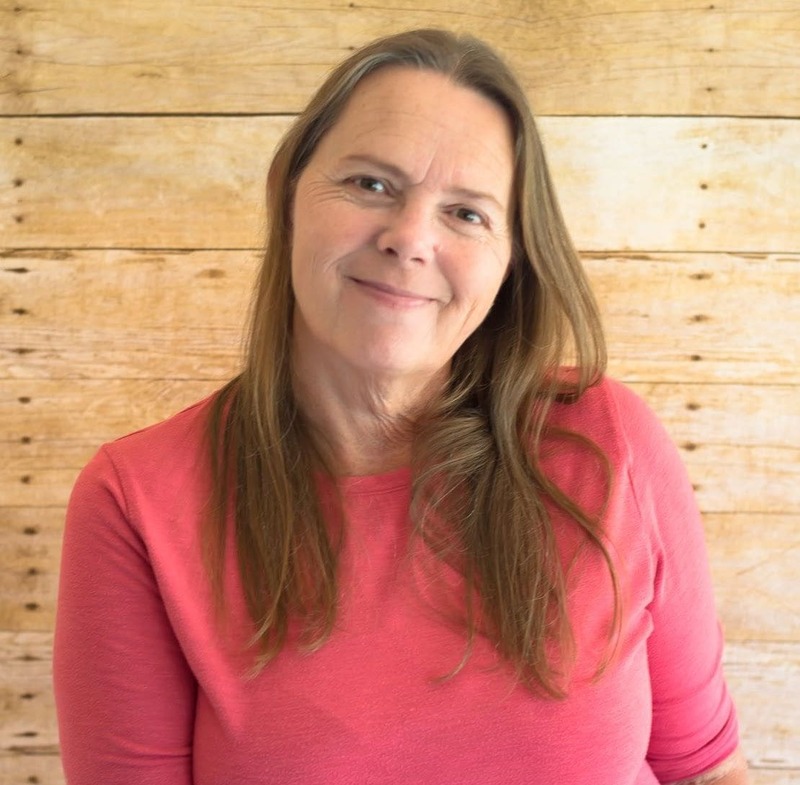 We are working together to share our recipes collaboratively with each others readers along with helping each other grow as food bloggers. 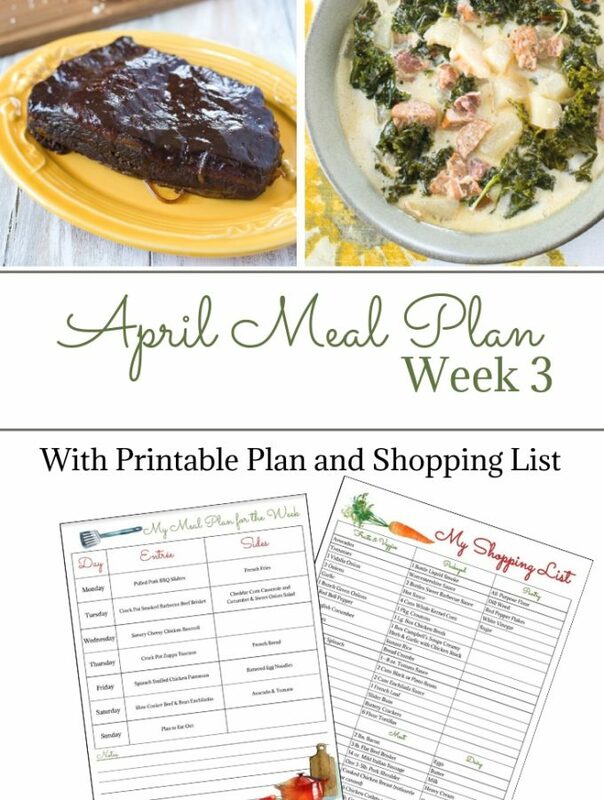 I hope you enjoy this first monthly recipe roundup. 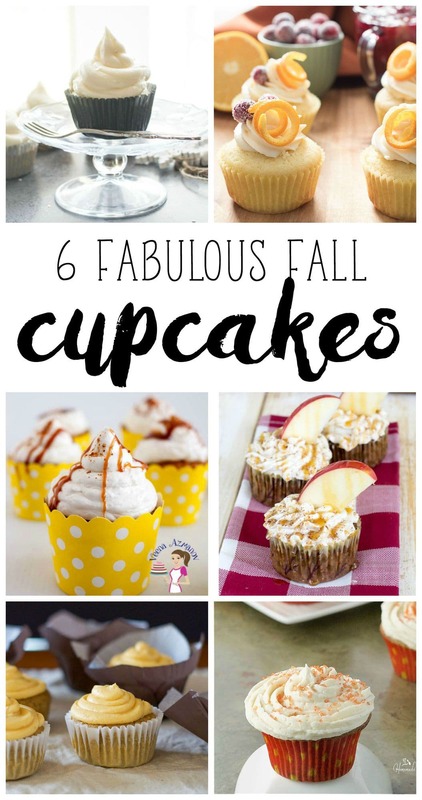 Our first collaborative post theme is fall flavored cupcakes. 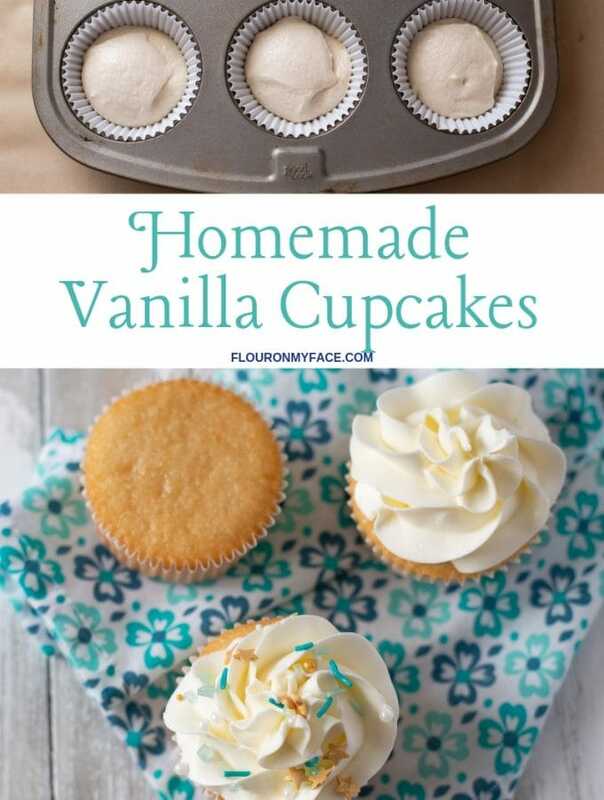 Please check out some of the other delicious cupcake recipes below and if you have a minute visit their blog and leave a comment. A few months back I made a delicious Pumpkin Spice Coffee Butter Cream frosting that topped the moistest pumpkin spice cupcakes I have ever made. They were so good I knew I had to try another flavor. The secret ingredient in the frosting is cold brewed coffee concentrate made with flavored coffee grounds. 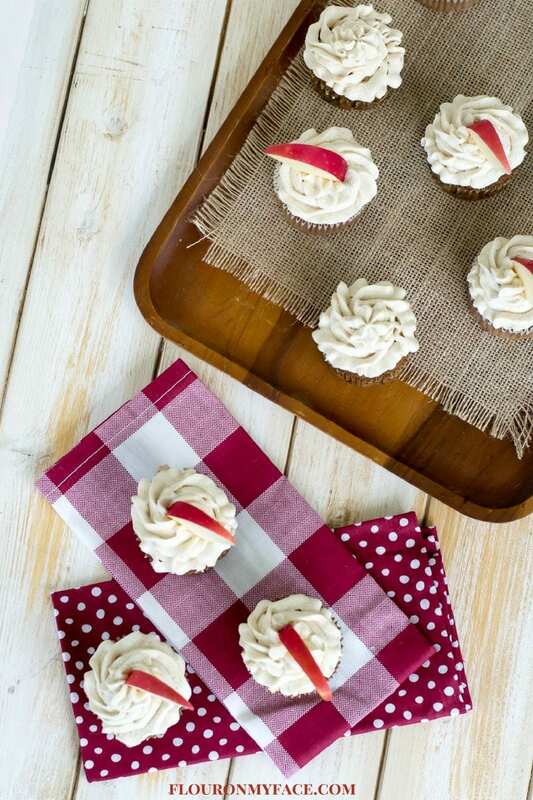 These tender and moist Apple Spice Cupcakes are topped with Caramel Apple Coffee Butter Cream Frosting. Sound weird to you? Well I can assure you the frosting is delicious. I love coffee and the perfect flavor to top a cupcake is with a coffee flavored frosting. You get your sweet with a caffeine jolt. I used (affiliate link) New England Caramel Apple Coffee grounds to make a caramel apple coffee concentrate, that I then used to flavor the butter cream frosting. You might be wondering how someone like me might decided to flavor cupcake frosting with coffee. Well, you see I make my own cold brewed ice coffee concentrate. I have been making it for years. I drink it every day…..so one day I was brewing a quart of pumpkin spice cold brew coffee. And like most food bloggers tend to do I said to myself- hey I wonder how that would taste mixed into some sweet butter cream frosting. It tastes pretty good. That’s how it tastes. You could do the same with any flavor of flavored coffee grounds. Hazelnut coffee butter cream frosting would probably taste awesome on top of some vanilla cupcakes. Preheat the oven to 375 F. degrees and prepare a 2 muffin tins with cupcake liners. Whisk the flour, baking soda, ground cinnamon and salt in a bowl and set aside. Using a hand held mixer or a stand mixer on medium cream the butter and sugar for 3 minutes. Next beat the egg in until completely incorporated. Add the applesauce and beat well. Fold the apple pieces into the batter. Evenly divide the batter between 24 muffin wells filling them 3/4 full. Remove the muffins from the pan to cool on a wire rack. Frost with cream cheese frosting or my Caramel Apple Coffee Butter Cream Frosting recipe below. 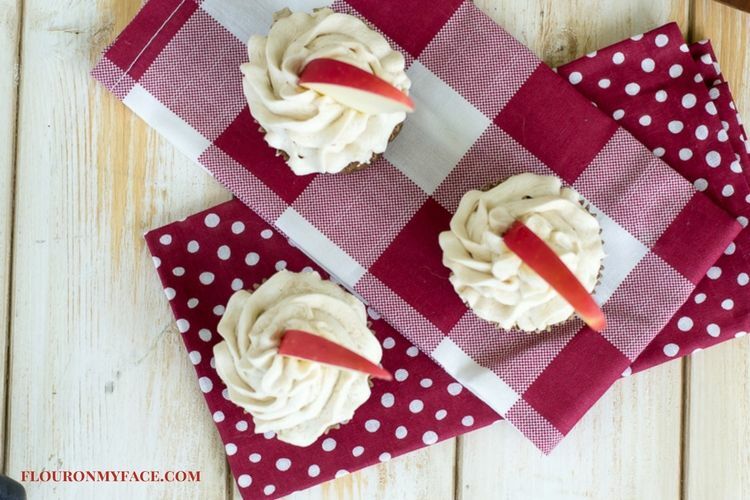 Celebrate fall with these Apple Spice Cupcakes. Before you can make the Caramel Apple Coffee Frosting you will need to make some coffee concentrate. Start this the day before you plan on making the cupcakes and frosting. 1 cup Caramel Apple flavored coffee grounds. I used (affiliate link) New England Coffee. 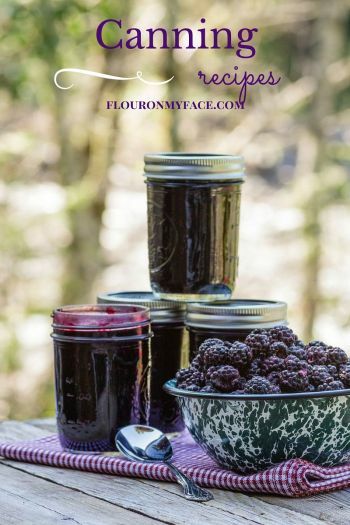 Measure the coffee grounds into a quart size mason jar. Fill the jar with cool water. Stir the coffee ground to moisten. Cover and allow to steep 24 hours. Strain the coffee grounds through a fine mesh strainer that has been lined with a coffee filter or cheesecloth. Once all of the coffee concentrate has drained pour the concentrate into a clean jar or container. Refrigerate any unused coffee concentrate. Once you’ve made the frosting pour some coffee concentrate into a glass filled with ice and enjoy a glass of Caramel Apple Iced Coffee with your cupcakes. Beat the butter on a bowl with a hand mixer or in the bowl of a stand mixer on high for 2 minutes. Add the sugar to the butter one cup at a time. 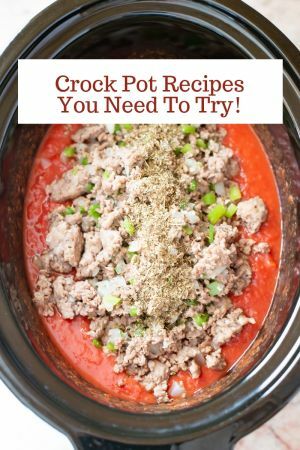 Scrape the bowl and beat for about 2 minutes. Add the Caramel Apple Coffee concentrate to the bowl and beat for at least 3 minutes or until the frosting is fluffy. Frost completely cooled muffins or cupcakes. Store in the frosted cupcakes or muffins in the refrigerator. Thank you Veena! They are pretty good! These look delicious…in fact I would serve them for brunch. What a nice fall cupcake. The collaboration was fun, and I look forward to the next one. I love Fall so much probably for apples. And these cupcakes are calling my name. They look amazing. 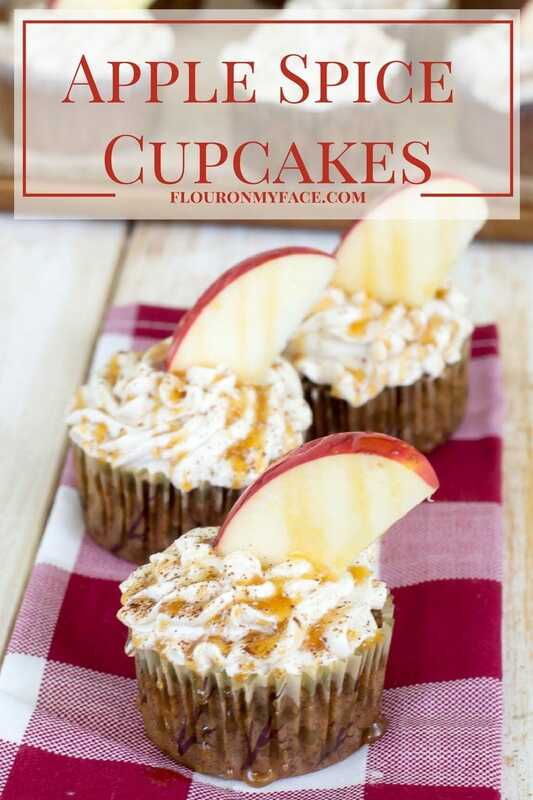 Wow, these look delicious and that caramel apple coffee buttercream sounds amazing!